They are supplied with a range of connectors, and for use with APRS systems, one may want to replace the connector with the common DE-9 wiring for trackers. The common DE-9 wiring for trackers is identical to standard DCE wiring with the addition of an optional power feed via pin 4. Above is a pic of a connector arrangement where power is supplied from the tracker on pin 4 using a 1N5711 blocking diode (anode to DE-9 pin 4) in the red heatshrink. The red wire from the GPS is connected to the cathode of the diode and the positive wire to the 2.1mm DC line jack. 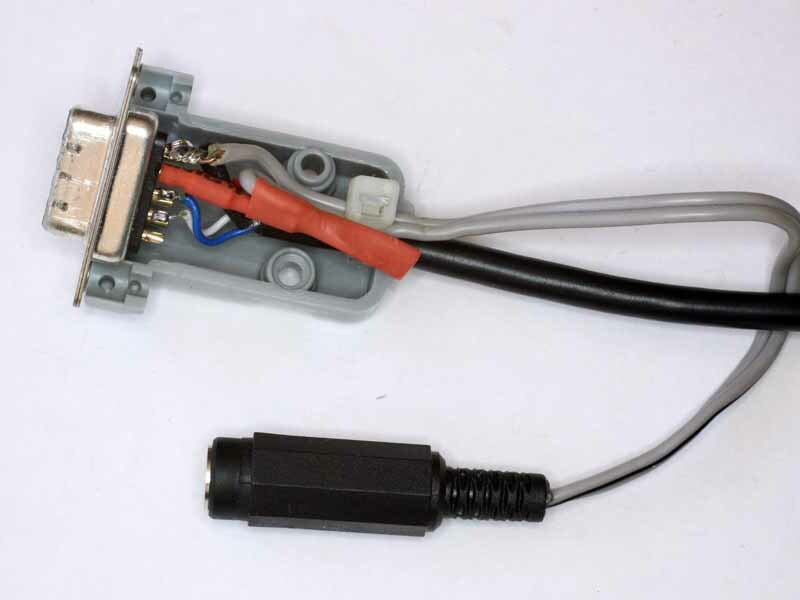 The black wire and bare shield from the GPS is connected to DE-9 pin 5 along with the negative wire to the 2.1mm DC line jack. This arrangement allows the GPS to be powered from the tracker, or from the 2.1mm line jack (for other applications without backfeeding equipment). The white wire goes to DE-9 pin 2, and the blue wire goes to DE-9 pin 3.